One of 16-year-old June Laurie's biggest dreams is about to come true—she's joining the cast of the most popular crime show on t.v. Sure, it's only for a few episodes, but who cares? She's in. Which means she'll be spending some serious on-screen time with the delicious Lukas Leighton. He's the star of every girl's fondest daydreams, including June's. She can hardly believe the opportunity has landed in her lap, but she's determined to make the most of it. June's co-stars aren't sure what to make of the 16-year-old Mormon girl who won't drink coffee and balks at the skimpy costumes she's supposed to wear. She's not sure either. June wants this gig so badly she doesn't dare mess it up by asking the producer for something more modest to wear. Does she? It doesn't help matters that the Lukas Leighton seems to be falling for her. Are a part on a t.v. show and the attention of a gorgeous actor really worth compromising June's standards? As the pressure mounts, she'll have to decide how much she's willing to sacrifice to get what—and who—she wants. 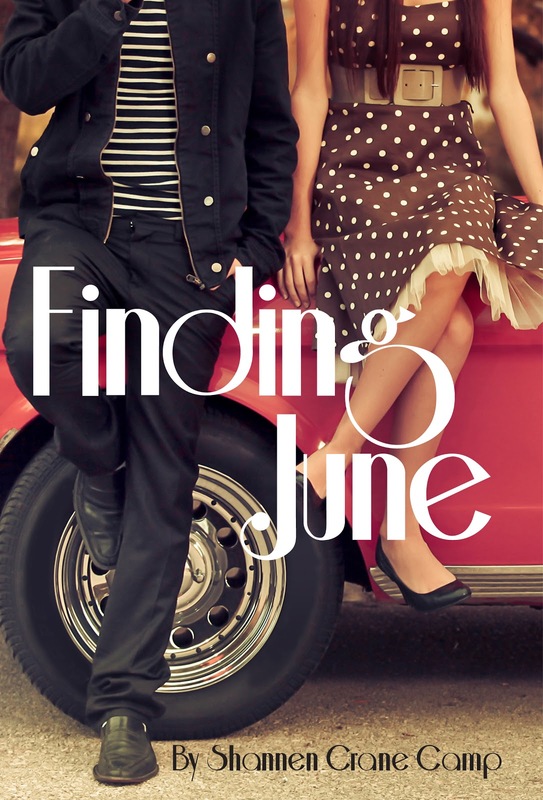 There are several things I like about Finding June, a sweet YA romance by Shannen Crane Camp (there are lots of things I don't, but we'll get to that in a minute ...). The cover, for one. It's got a vintage feel to it that still somehow very clearly says contemporary YA. Eye-catching for sure. Also, the fact that Camp's writing about LDS teens without being overly preachy or trying too hard to teach some kind of lesson. In fact, I think she finds an almost perfect balance between church-y stuff and non-church-y stuff, if that makes any sense. That being said, Finding June pretty much annoyed me from the first sentence to the last. Why, you ask? Well, it starts with the fact that this story has no central conflict. It sounds like it does with the whole compromising standards thing, but that's actually sort of a subplot. And not a very interesting one at that (although it definitely could have been). In truth, the story really doesn't have much conflict at all. It's pretty obvious how the book's going to turn out, since this premise/plotline's been done a bajillion times and Crane doesn't bother to throw in any surprises to make June's tale unique. Plus, June never really struggles with anything. At all. She's self-centered, insensitive, clueless and yet everyone loves her and gives her exactly what she wants? I don't buy it. For me to really get behind a heroine (or hero), I have to see her fight to attain her goals, I have to see her fail so she can pick herself up and continue to claw her way through her troubles, I have to see her care for someone (or something) beyond herself, I have to find something in her to admire. That didn't happen with June. She's too flat, too self-absorbed, too unrealistic. I have more beefs with Finding June, but I think I'll stop there. Suffice it to say, I didn't care much for this one. Crane's got the right idea, IMHO, she just needs to work on creating deeper, more empathetic characters; plotlines that twist in surprising directions; and richer, more vivid prose. Piece of cake, right? 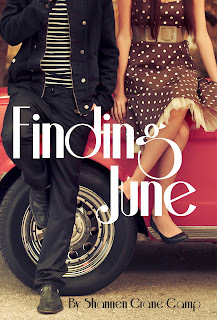 To the FTC, with love: I received an e-copy of Finding June as part of my participation as a judge for the Whitney Awards. Thank you! A well-written review! You laid the things that didn't work for you but also pointed out a few strengths. I don't think I'll be picking this one up, in part because I'm not that into contemporary YA, but largely because June doesn't sound like an appealing heroine. I don't need heroines to be sympathetic or likable, but like you, I think they need to grow, struggle, and/or change. Thanks! My intent is never to slam a book into the ground -- I only try to point out what didn't work for me and why. I don't necessarily need a heroine to be likable, but I do need her to be empathetic. Otherwise, I really have no reason to care. And, if the heroine doesn't struggle a little with whatever journey she's undertaken, I have no reason to root for her. So, yeah. This could be a whole 'nother blog topic -- I may just have to write something up about unlikable/unsympathetic heroes/heroines. It would be interesting to see what everyone thinks.